Book club is now considered to be one of the “best practices” in English Language Arts. Book clubs differ from traditional literary circles in that they are less teacher-directed. The students take on the responsibility of selecting their roles, making their assignments, keeping track of their reading, and much more. Of course, both strategies are necessary for the ELA classroom because students often need practice with literary circles before they can function independently in book club groups. 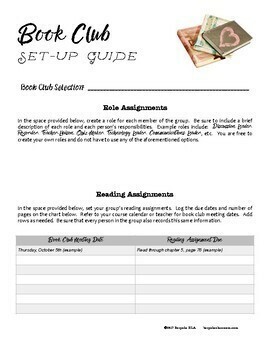 One of the best traits of the book club format is that it is easy to modify and adapt to your students’ needs. In fact, there are many different ways to implement book club into your classes, and depending upon the grade level and performance level of your students, you may want to consider a book club/ literature circle hybrid. The choice is yours. 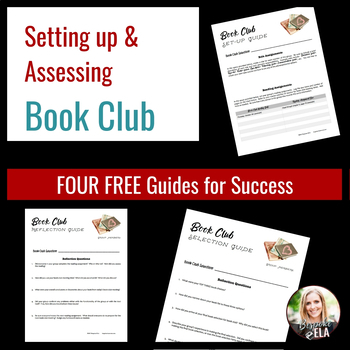 But no matter if you are a book club purist or a book club hybridist, here are THREE FREE TOOLS to help you set up and assess book club in your classes! The guide takes students through the process of selecting a book and think about how they arrived at their decision. It is vital that you as the teacher take time to research each book selection to check for school appropriateness and also to see if each book selection meets the guidelines you may have set forth. The guide takes students through the process of assigning roles and setting reading assignments. Students should also exchange contact information. This is vital to the communication process and ultimate success of the group. 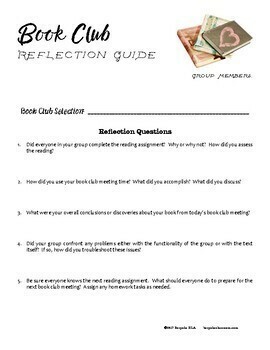 This guide takes students through a reflection of their book club meetings. At the end of each group meeting, students should plan to reflect back upon their discussion in order to synthesize their findings and draw conclusions about key literary elements in the story. They should also consider making a plan to troubleshoot any issues they encountered while at the meeting (i.e. not enough participation, not everyone read the required sections, etc.). This guide provides students with a list of comprehensive and creative options for discussion and analysis. 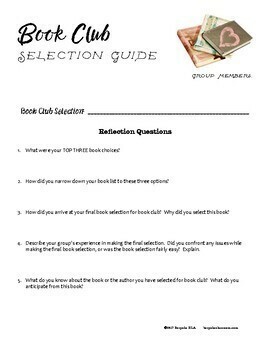 Students can choose one from the list to complete during a book club meeting, OR they can use the list to inspire new ways of analyzing their books! BE SURE TO CHECK OUT THE FREE BOOK CLUB MENU OF DISCUSSION & ANALYSIS STRATEGIES BY CLICKING HERE. Book Club is an excellent strategy for helping students take ownership of their own learning. These tools will help you guide your students through the book club process.